The Arboretum’s gorgeous fall colors were the perfect backdrop for lily + Aaron’s engagement photos! Lily and Aaron both grew up in Janesville and actually lived only a few blocks from each other. They went to the same high school and worked in the same restaurant for a few years while in high school, and eventually started dating in 2012, moving to Madison in Summer of 2013, and they’ve been in the area ever since. When they became engaged, these two knew they wanted a small, intimate wedding and to celebrate with their closest friends and family. 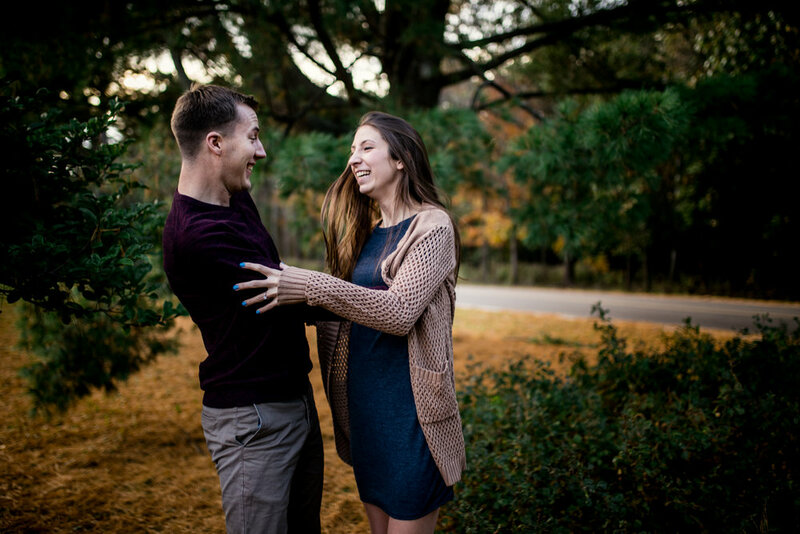 For their engagement portraits, they were both a little nervous to be in front of the camera (which is totally understandable, as most adults are!) but pretty soon were having fun and goofing off, which is what I love taking photos of! I can’t wait for Lily + Aaron’s wedding a few weeks from now!